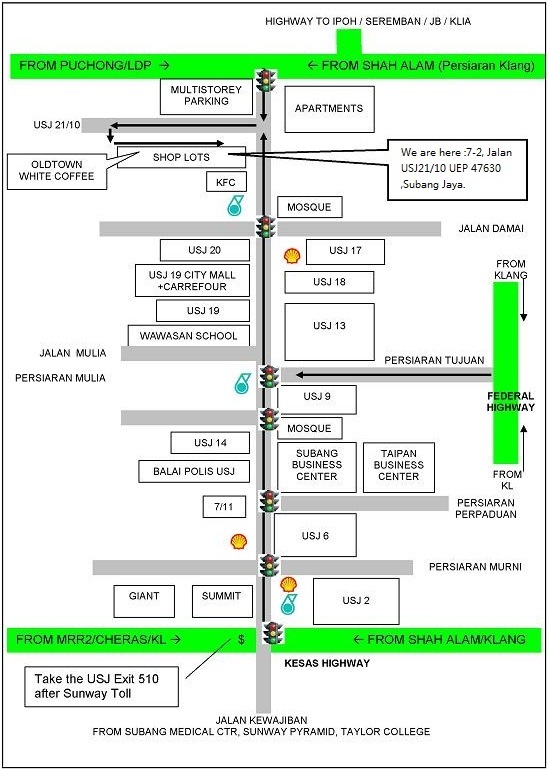 No.7-2 (1st Floor), Jalan USJ 21/10, 47630 UEP Subang Jaya, Selangor D.E. Malaysia. MONDAYs to FRIDAYs: 10.30am to 5.30pm (no lunch break). From KL Sentral, via Rapid KL Kelana Jaya Line , alight from the train at USJ 21 (KJ34) LRT Station, we are just 30-meter from the station. • Name Mr. Ms. Mrs. Dr.